Hello everyone, I have great news! 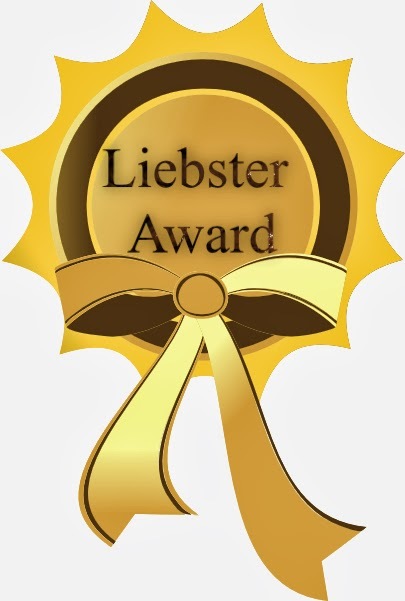 I have been nominated for the LIEBSTER AWARD! Thanks to www.leccesroyale.blogspot.com for the nomination. I started blogging because I needed a platform to vent and just be me. I never thought anyone other than my friends will get to read my blog but I'm glad people other than my friends read my blog and occasionally comment too for that I'm grateful. This award is for upcoming bloggers with less than 200 followers, it's a platform for getting to know other bloggers and upcoming bloggers and as well as promoting and supporting bloggers. 1. You must link the person's blog who nominated you. 2. Answer the 11 questions given by the person who nominated you. 4.you can not nominate the blogger that nominated you. 5. You must inform the nominees that have been nominated. I started blogging because I needed a place to vent, write about my daily activities and events in my life as they unfold. 2. Tell me one weird thing about you. 3.where do you see yourself in 3yrs? 6. What kind of movies do you like? 7. Would you choose beauty over brains? I love traveling, shopping, I love being photographed, and listening to good music. 11. If you had the opportunity to save someone your best friend or your boyfriend? I'll save my best friend. 2. What's your dream job? 6. What's your idea of a perfect date night? 7. If asked to choose between your mother or father who to save who will it be? 8. Who's your favorite blogger? 11. Rich, arrogant and ugly, or poor, good looking and well behaved? Well guys, this is it. Hope my nominees make out time to post this on their blogs too. Thanks Sophia. Just checked out your blog, love it and I'm already hooked.